The world DIDN'T end on January 1, 2000. Therefore, this book is good for gaming, rather than just for starting fires. And you know what? We're GLAD. Now that it's just fantasy, visit the world that might have been . . . the world where everything went wrong. The Big Crash. The Bug. The end of technology – the end of humanity. 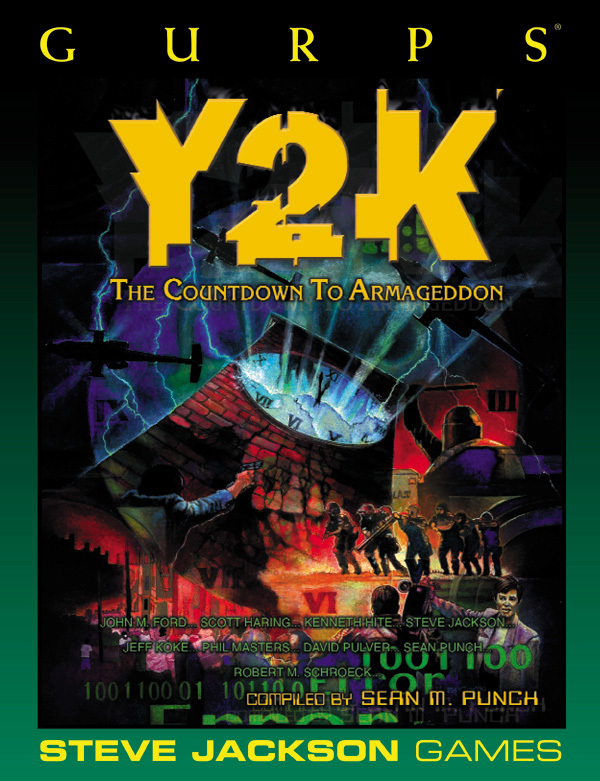 In GURPS Y2K, ten of your favorite GURPS authors take a long look at these millennial fears, from computer crashes to global warming, from a nuclear apocalypse to the Biblical Apocalypse. Floor Plan 3: Underground Lab – Need a setting for your Y2K adventure? Try one of the floor plans perfect for an underground lair to wait out the catastrophe. GURPS Reign of Steel – It is 2047 A.D. The robot revolt is over, and the machines have won.